– 14 slots available. First come, first serve (email at facebook.com/CapitalCrossFit). – Only for Capital members. – Signing up and not attending will result in serious burpee consequences. 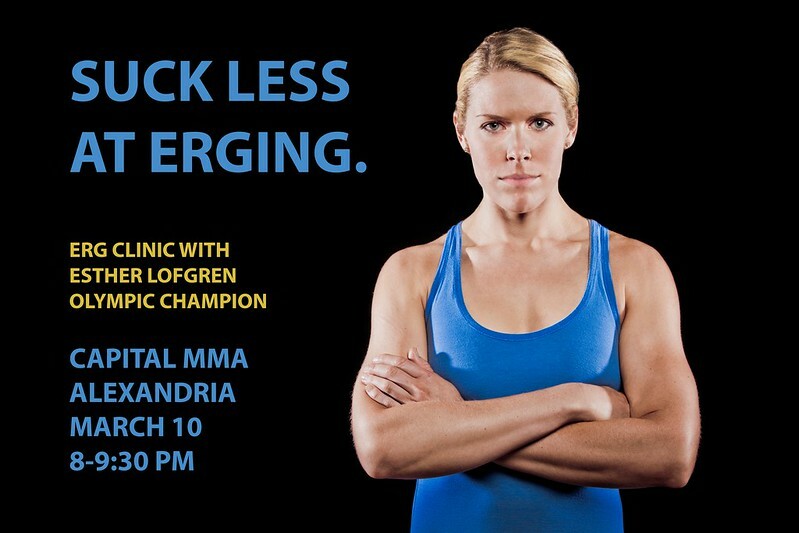 Esther Lofgren is a member of Capital MMA & Elite Fitness, and she is an American rower. She won Olympic gold in the women’s eight at the 2012 Summer Games in London. Lofgren is a graduate of Harvard University, where she rowed for Radcliffe Crew and was a two-time All-American. She is an eight-time member of the U.S. National Rowing Team, a current World Record holder in the women’s eight, and a seven-time World Championship medalist.